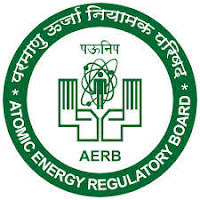 Atomic Energy Regulatory Board (AERB), Government of India group, carries out regulatory and safety functions regarding establishment and consumption of nuclear services and use of radioactive sources and radiation generating equipment. The mission of AERB is to ensure the use of ionizing radiation and nuclear energy in India does not cause undue risk to the health of people and the environment. Atomic Energy Regulatory Board (AERB), Mumbai has invited online applications for vacancy to the job of Scientific Officer/ Technical Officer. A total of 20 posts have been invites by AERB for recruitment in Mechanical / Electrical / Chemical/ Nuclear / Civil (Geo-technical)/ Instrumentation and Control/ Electronics disciplines. 'AERB has its Headquarters at Mumbai and regional offices at Chennai, Delhi and Kolkata. AERB has its Safety Research Institute at Kalpakkam, Tamil Nadu. The selected applicant may be posted to every part of India,' reads the job notice. Scientific Officer (SO) / Technical Officer (TO) :Total vacancy- 20 vacancy (12 post in Engineering disciplines in Grades G/F/E/D and 8 posts in MSc and Diploma in Radiation Physics in Grades in E/D/C). Candidates will be selected on the basis of interview. Candidates will be shortlisted for interview on the basis of their educational qualification, skilled qualification and experience. Application fee is Rs. 500/-. Mode of payment of the Application Fee is through online. No fee for SC/ST/Ex.SM/Women candidates .Fee once paid shall not be refunded under any conditions and cannot be held in preserve for any other vacancy. Application fee should be paid on or before the last date of the receipt of online applications. Eligible and interested candidates can apply online at AERB recruitment official website from 01/10/2018 to 31/10/2018 only.